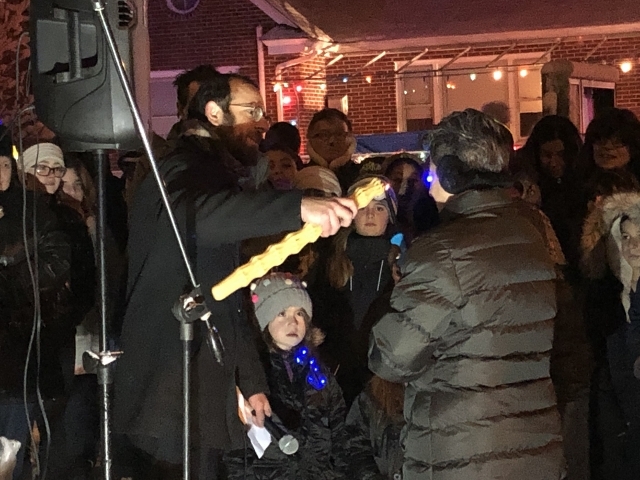 Chabad Rabbi Avrohom Rapoport lights the menorah at the Ventnor Shul. 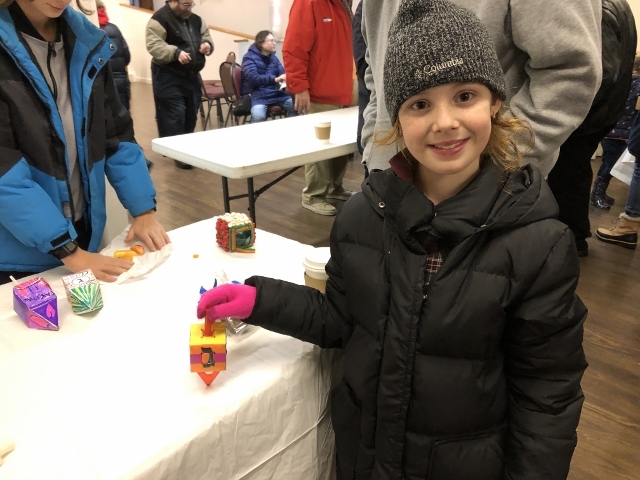 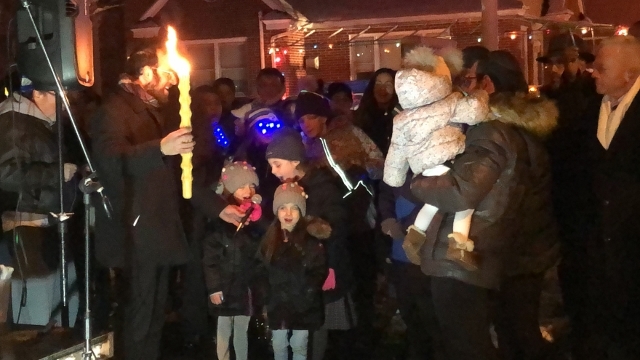 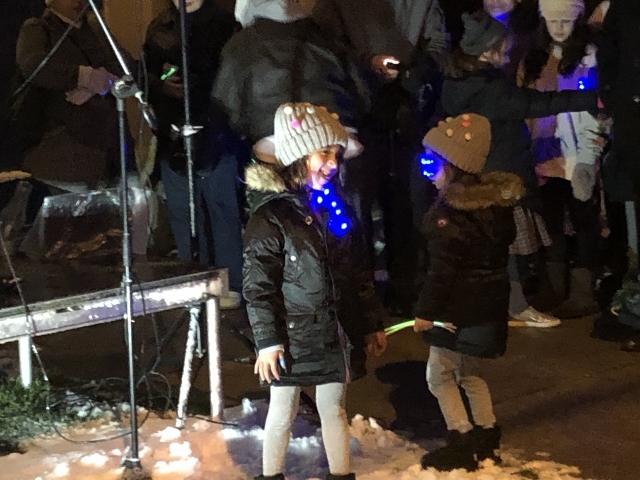 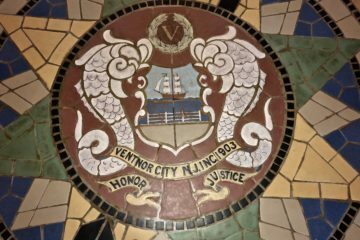 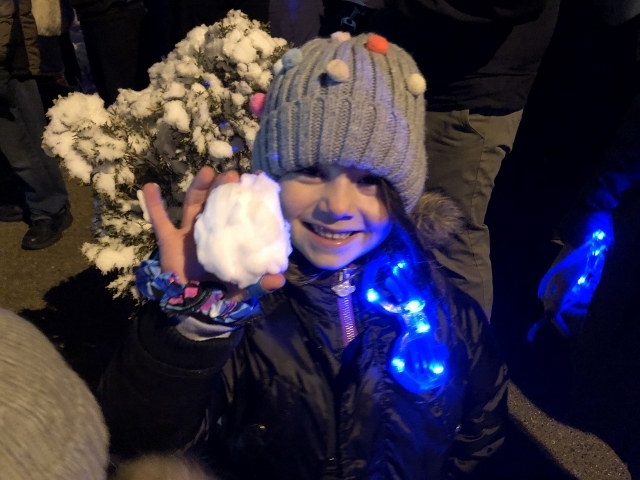 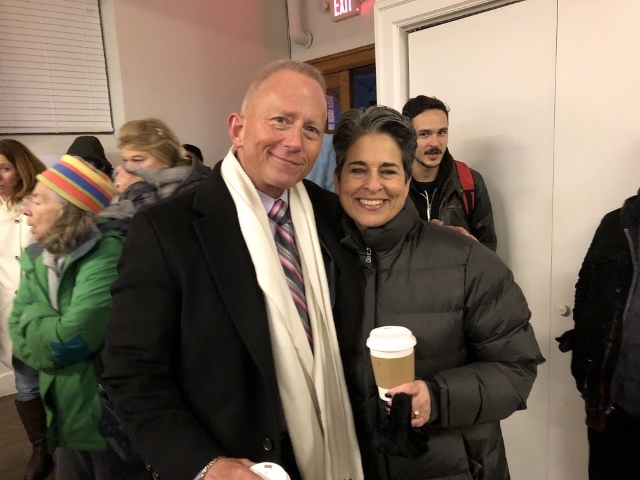 VENTNOR – The city held a public menorah lighting Wednesday, Dec. 5 at the Ventnor Shul. 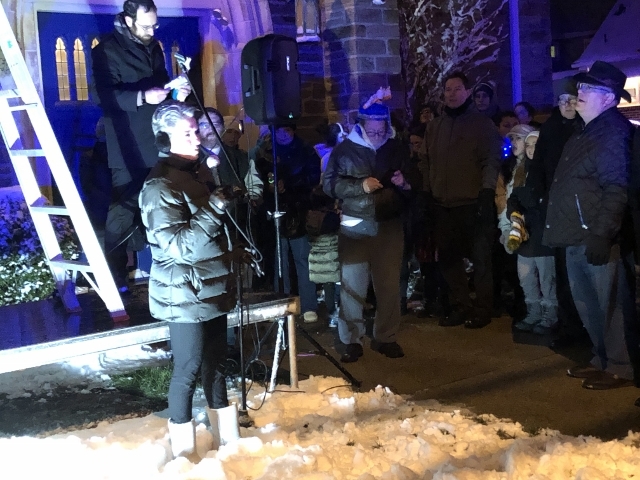 Chabad at the Shore Rabbi Avrohom Rapoport addressed the crowd gathered outside the temple to assure them that the light coming from Ventnor’s menorah is enough to overcome all the darkness in the world. 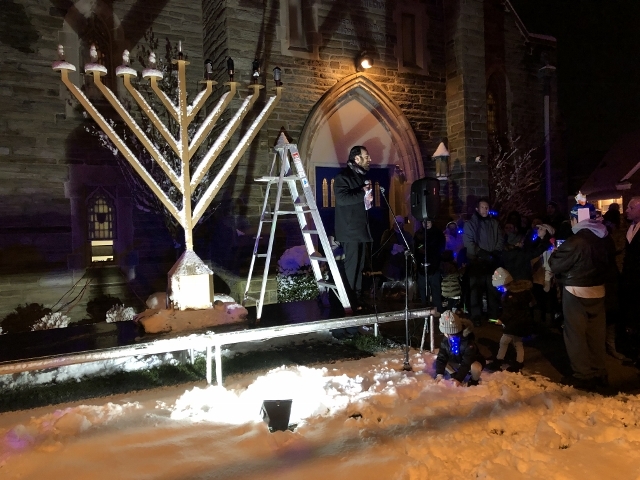 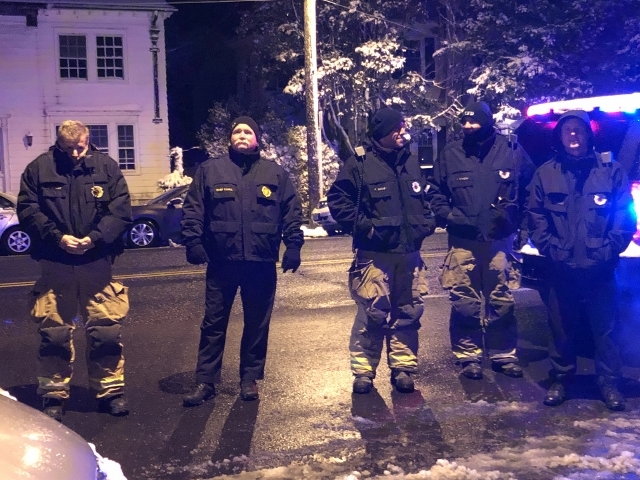 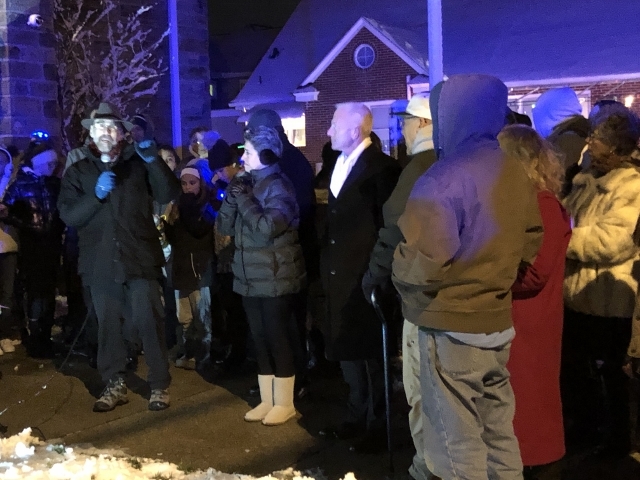 “There’s so much darkness in the world and sometimes it can feel a little overwhelming…but the message of Hanukkah is that a little bit of light has the power to dispel much darkness,” he said before climbing a ladder to light the menorah. 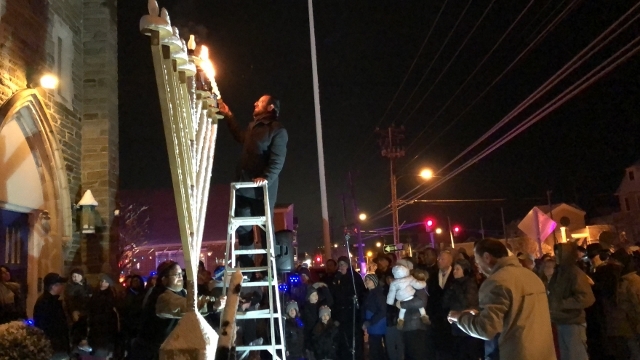 The menorah is a candelabra that has eight branches leading from a central branch called the shamish, which is the helper candle whose flame is used to light the others. 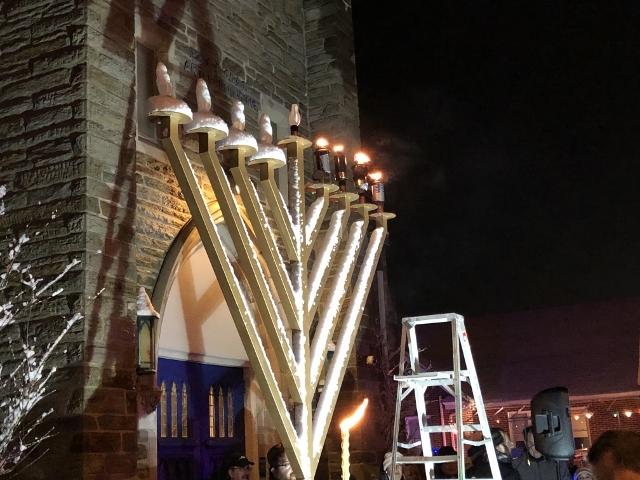 Each branch represents one day of the eight days of Hanukkah, which is often referred to as the Jewish Festival of Lights. 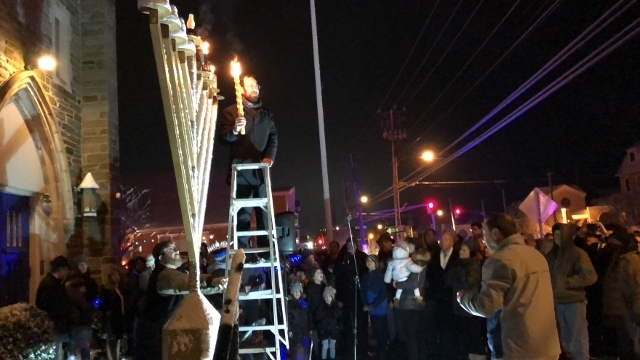 According to tradition, Hanukkah recalls the miracle experienced by the Maccabees of Israel, who defeated the powerful Syrian army and the religious persecution brought by Antiochus. 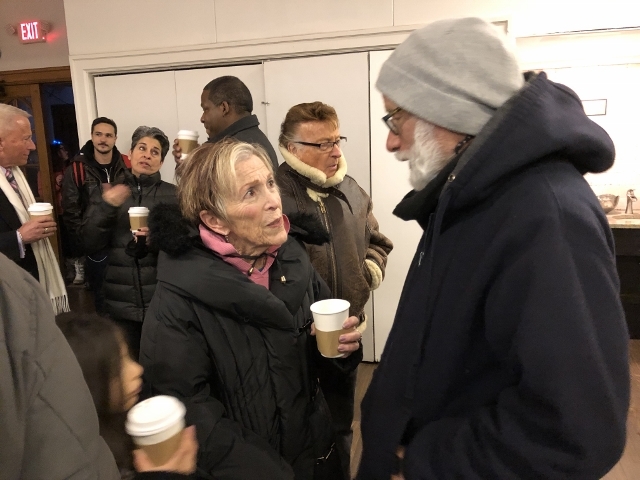 The miracle they experienced allowed just one day’s worth of sacred oil needed to light the temple in Jerusalem last for eight days until new sacred oil could be provided. 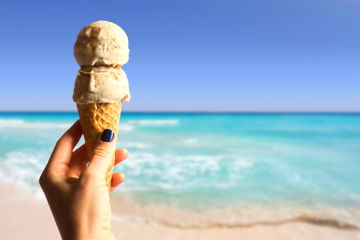 “Each one of us has a Godly soul, has a spark of goodness inside us. 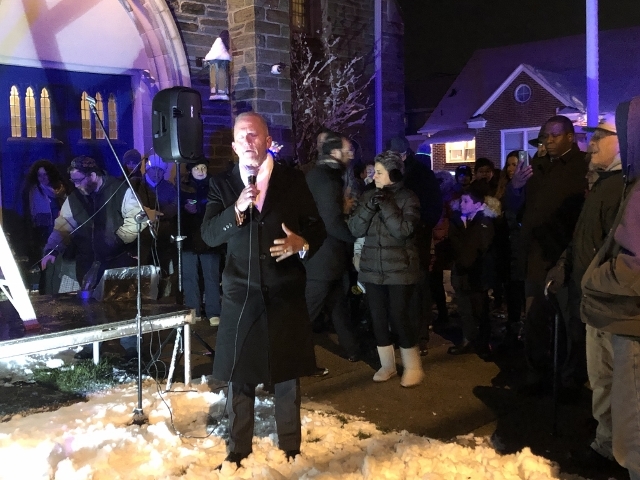 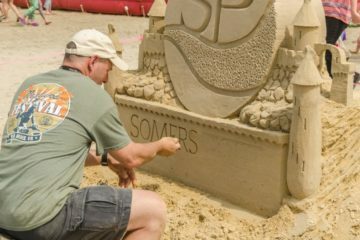 When we go out in the world and we illuminate the world with our goodness, our kindness, our love, even small acts of kindness have the power to push away tremendous amounts of darkness,” the rabbi said. 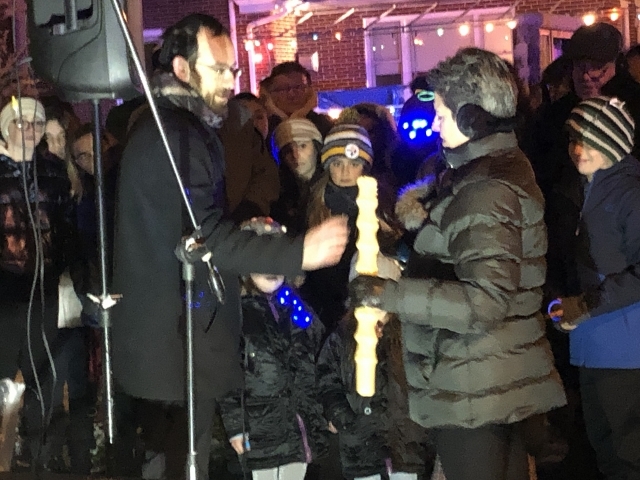 Mayor Beth Holtzman, who Rapoport referred to as Ventnor’s shamish, assisted with lighting the first candle. 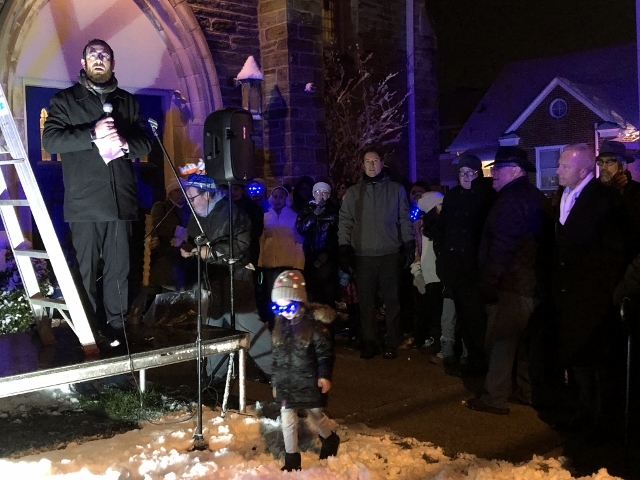 “Our demeanor, our behaviors, our actions, and most importantly, our good deeds should outreach and branch off to others to influence them in a positive way,” she said. 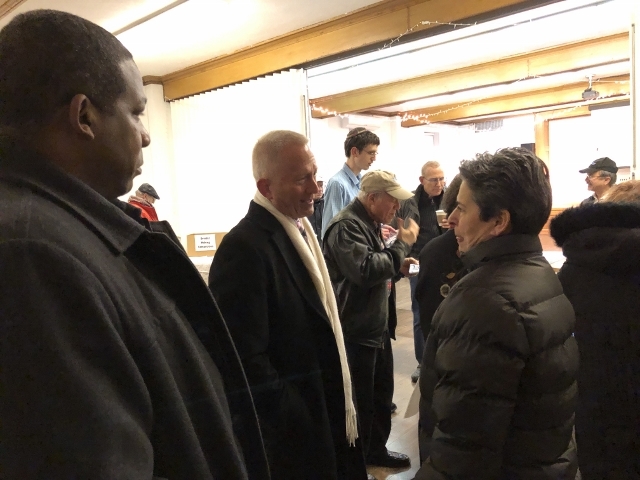 Second District Congressman-elect Jeff Van Drew also attended the event. 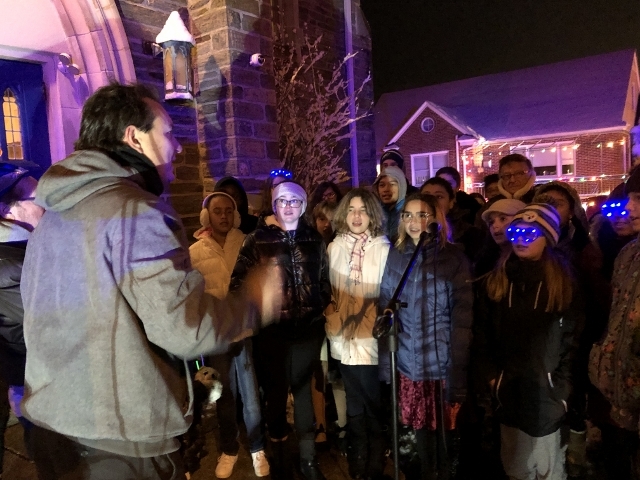 The event included sharing blessings from the Shul’s youngest members and traditional Jewish songs sung by members of the Ventnor Middle School Choir. 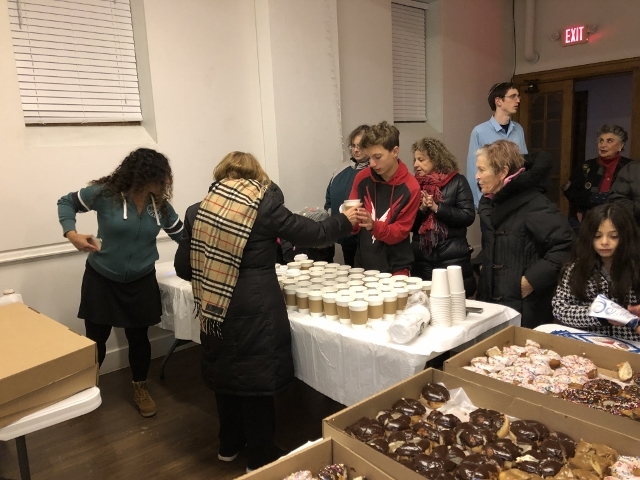 After the ceremony, the crowd went indoors to warm up and enjoy refreshments and traditional Hanukkah treats, including jelly donuts.